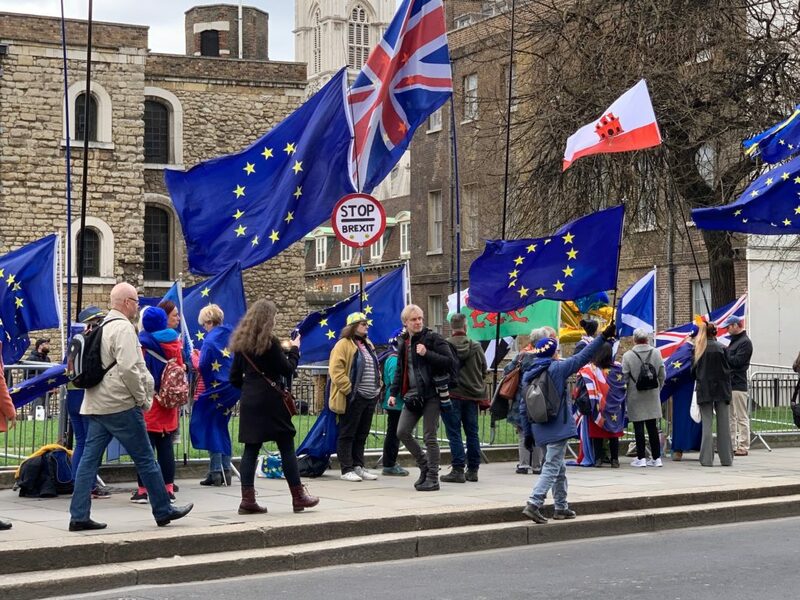 Brexit protesters outside the Houses of Parliament today. As UK politicians gather in the Parliament for a series of votes determining the future relationship between the UK and the EU, universities fear for the future for international cooperation. Today, representatives from universities all over Europe and beyond meet at the Imperial College of London for the International Higher Education Forum to discuss the way forward beyond Brexit for science and education. I had the great honour of participating in a panel discussing the effects of Brexit on international cooperation on research and education. And in short: We are worried. Brexit and the uncertainties of the future relationship between the UK, the EU and thereby with many other countries, including Norway, is a severe challenge for the global scientific community. But we will stand together and we will find ways. The United Kingdom and Norway have a strong and long-lasting partnership in research and education. Today, the UK is one of Norway’s most important research partners. Looking for example at the Norwegian researchers´ co-authorship with researchers from other countries, British researchers are second highest on the list. An illustrative example from the Norwegian university of life sciences (NMBU); Nearly half of all projects funded by Horizon 2020, have British partners or coordinators. In other words: Partnership with the UK is extremely important to Norwegian research and education. Norway depends heavily on our continued partnership for knowledge. So, the question is not IF Norway and Norwegian institutions, NMBU included, should continue to seek and strengthen partnership with the UK in research and education. The question is HOW. We have to be prepared for all outcomes. We cannot afford to lose important research networks or the benefits that come from student exchange. This is a unanimous message from today´s event, and echoes my own opinions as rector, as President of Universities Norway and as a member of the board of the European University Association. However, it is beyond doubt that we have some obstacles ahead. We know for a fact that depending on the British deal (or no deal) with the EU, mobility and research cooperation with the UK will be more difficult. The Norwegian Research council has warned applicants about the uncertainties, and asked them to think twice about part-taking in applications coordinated by British institutions and companies. I am worried about this advice. Because, although funding is obviously important, what is really at stake here is our networks. In the long term, losing these networks will be devastating for Norwegian research. Safeguarding the networks is key through the challenging times of uncertainty we face. As I said, Norway cannot afford compromising our partnership with one of the most important research nations in the world.We therefore appreciate the guarantee that the UK government has issued for its Horizon 2020 projects. If the outcome of this process is a hard Brexit, limited access to EU funding and restrictions on participation in projects will of however have a negative effect, despite these guarantees. I hope Norwegian researchers stand strong with their British partners, and hold on to their networks through difficult times. 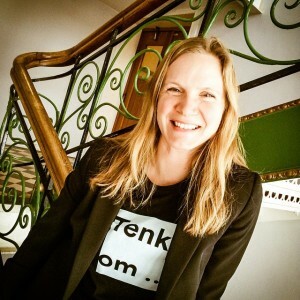 Likewise, the Norwegian Minister of research and education has encouraged exchange students to consider other countries than the UK for exchange. I understand her responsibility to warn young people about the uncertainties that could have great consequences for them. However, having fewer exchange and program students between Norway and the UK would be a great loss for us, especially in the long run and with a cascading effect into future partnerships. The UK government reassuringly has guaranteed that, in the event of a no deal, it aims to secure the UKs full participation in ERASMUS + until 2020, and that solution for continued participation is on the agenda. Already, and also in the light of the given advise, the current mood on the ground in Norway towards the UK as a research partner, is affected negatively by the uncertainty. Our British friends know excactly what that feels like, and I was very sad to experience the very worried atmosphere at today’s event. The stakes are very high, and we risk losing very much. Not knowing the outcome and effects is very difficult and the uncertainty is wearing on people. We need to know where we stand, and we need to find ways forward for the future. What I can say – with a high degree of certainty – is that continued British partnerships is very important to Norway and Norwegian institutions. It is therefore my hope that Norwegian institutions and politicians can hold on to the big picture and think long term. The sharing of knowledge and innovation has never been more crucial for the future of our planet. All nations must do their best to work together, regardless of political conditions. I thank our British partners, and Universities UK in particular, for their commitment to continued partnership, to standing together through uncertainties and challenging times. Science is global, and the scientific community will prevail no matter the outcome of Brexit-negotiations. Previous Post: Norge trenger flere kvinner i forskningstoppen! Professor og Rektor ved NMBU, Norges miljø- og biovitenskapelige universitet. Les mer om bloggen og meg her. Norge trenger flere kvinner i forskningstoppen! Vi må ta ansvar for en bærekraftig fremtid! Kommentarer er velkommen, men det kan ta litt tid før kommentaren din vises. Spammere finner stadig mer intrikate måter å spamme blogger på, derfor vil kommentarene på denne bloggen forhåndsmodereres. Hilde Bøkestad til Planleggingsmiljøene på NMBU er 50 år! Mari Sundli Tveit til Akademisk frihet: Har Viestad glemt den viktigste ingrediensen? Copyright © 2019 Rektors blogg. Powered by WordPress and Stargazer.